Correction: This report originally stated that Kaine said the delegation would issue a statement supporting backing Herring, based on a Washington Post report. However, Kaine did not say that the statement would be one of support for Herring, and we have updated the story to reflect that. 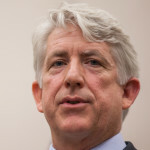 As Virginia Democrats continue to grapple with scandals faced by the top three Democrats in the state, the Virginia Democratic congressional delegation is preparing a statement on state Attorney General Mark Herring, who recently acknowledged that he once wore blackface to a party. 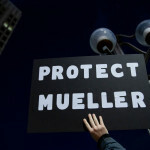 A CNN poll released on Thursday found that 87 percent of Americans believe special counsel Robert Mueller should release a public report with his findings and only nine percent believe he should not. 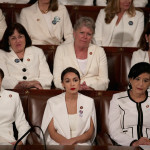 Conservatives are so obsessed with hating Rep. Alexandria Ocasio-Cortez (D-NY) that she evokes ire from them simply by doing nothing. 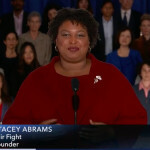 Former Georgia state legislator Stacey Abrams took aim at President Trump’s immigration policies in the Democratic response to his State of the Union address. During Tuesday night’s State of the Union speech, the crowd in the Capitol sang an impromptu rendition of “Happy Birthday” for one of President Trump’s guests, Judah Samet, a survivor of the Holocaust and the shooting at a Pittsburgh synagogue last year. 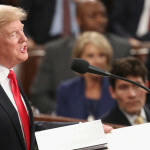 President Trump strayed from his message of unity for a moment on Tuesday night, using the State of the Union address to bash the Russia probe. Energy Secretary Rick Perry was chosen to be the designated survivor during President Trump’s State of the Union address Tuesday night. 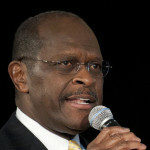 President Trump met with former Republican presidential candidate Herman Cain on Wednesday and is considering nominating Cain for a seat on the Federal Reserve board, Bloomberg News reported on Thursday. Trump ally Roger Stone on Tuesday morning pleaded not guilty to the seven counts in the indictment handed down to him by special counsel Robert Mueller’s grand jury. 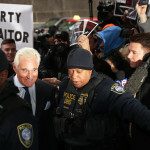 Greeted by a swarm of cameras, supporters and protesters, Roger Stone arrived at the federal courthouse in Washington, D.C. for his first court appearance in the capital city after he was indicted last week by a federal grand jury for allegedly lying about his interactions with Wikileaks and the Trump campaign.